Promotional Apothecary Jar w-Dome Lid 8oz is made from high-quality glass. Personalized Apothecary Jar comes with a lid. 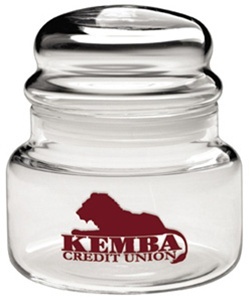 Promotional Apothecary Jar w-Dome Lid 8oz is available in Clear Glass color.